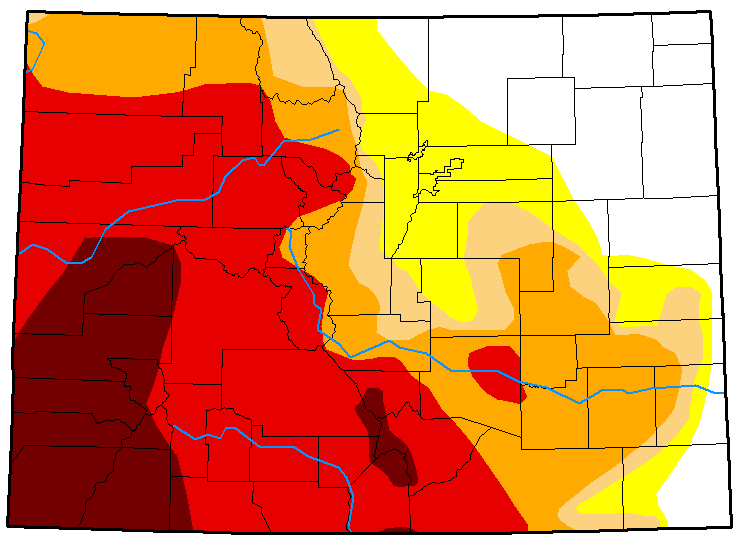 Severe drought was replaced by extreme conditions across most of Moffat and Routt counties. Severe drought moved further across Jackson County, while moderate drought also advanced to the east in Larimer and Boulder counties. 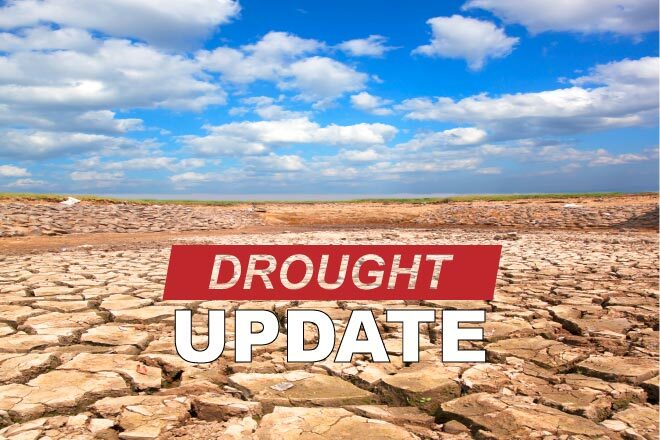 In northeast Colorado, abnormally dry conditions increased in southern and eastern Weld County. The expansion also encompasses most of Morgan County, along with northern Washington County. No changes were observed in southeast Colorado. Overall, 14 percent of the state is drought-free, down from 17 percent in the previous week, while an additional 14 percent is abnormally dry, up two percent. Moderate drought continues to impact eight percent of Colorado, while severe drought dropped from 20 percent to 16. Extreme drought covers 32 percent of the state. Exceptional drought increased to 16 percent from 13. 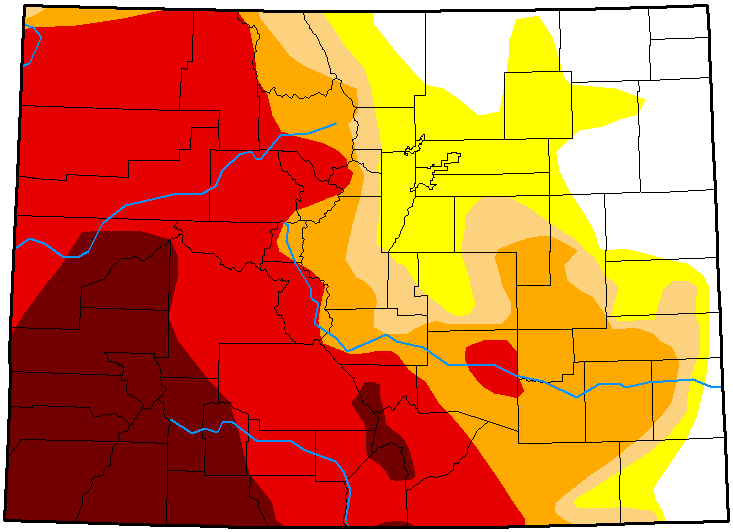 Forty-eight percent of Colorado is now covered by the two worst drought categories. One year ago, 68 percent of the state was drought-free, while 29 percent was abnormally dry. Four percent was experiencing moderate drought. Over the coming week, increased precipitation is expected, particularly for the western half of Colorado, though impacts are expected to be minimal for next week's report.